Mumbai: Mumbai FC and Churchill Brothers FC, Goa on Saturday played a goalless draw in a 15th round I-League 2016-2017 match at the Cooperage ground in Mumbai. Mumbai FC's new coach Oscar Bruzon started with Victorino Fernandes and Karan Sawhney in the attack, while skipper Densill Theobald of Trinidad & Tobago, Alex Silva of Brazil, Farukh Choudhary and Djelaludin Sharityar worked in the middle of the field. 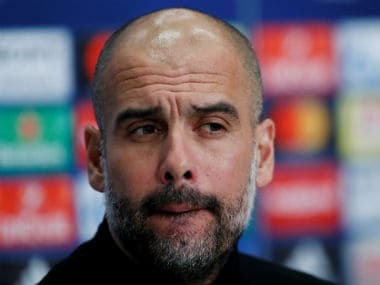 Both the teams who are fighting to avoid relegation started cautiously but it was the home side which in the first minute made a dash towards the rival goal. But Farukh Choudhary was unable to have a clear shot at goal. However, as the game progressed, Mumbai FC had two good opportunities while the Goans had just one good attempt at the Mumbai FC goal. 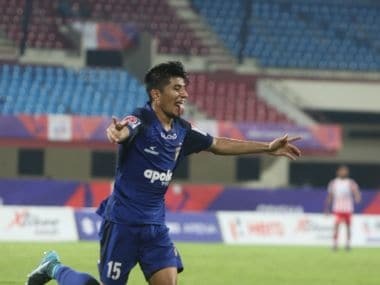 In the 36th minute, Alex Silva's free kick from the right side of the area narrowly sailed over the Churchill Brothers' crossbar and a few minutes later, Mumbai FC's Brazilian midfielder Alex Silva got to the end of Densil Theobald's free-kick, but his header bounced off the horizontal. 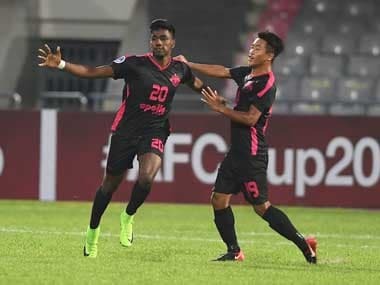 In between Churchill had a good attempt at goal when from a free-kick near the edge of the area Brendon Fernandes unleashed a rasping drive, but Mumbai FC goalkeeper Laxmikant Kattimani coolly punched the ball away. In the 56th minute Churchill's Liberian forward Ansumana Kromah latched on to Fernandes' pass on the right and flicked across the goal. Mumbai goalkeeper Laxmikant Kattimani missed the flight but the ball struck the far post and fell nicely for Chesternpaul Lyndogh. But the latter could not do much damage and the Mumbai team heaved a sigh of relief. A couple of minutes later, Kattimani charged out in the nick of time and blocked Chesterpaul who beat the offside trap and chased a through pass from Keenan Almeida. Later Mumbai FC created a couple of chances, but were unable to find the target. The Mumbai side continue to remain at the bottom of the table with 11 points from 15 games, while Churchill stay in sixth place with 17 points from 15 matches. Earlier in the day, in another clash at the lower end of the table, Chennai City FC came away with all three points from Ludhiana as they beat Minerva Punjab FC 2-0. Goals from Michael Soosairaj and Charles De Souza at the fag end of either halves proved to be the difference between the two sides as Chennai moved up into the seventh spot in the table. Shillong Lajong too enjoyed a good day on the road after a howler from Subrata Pal gifted them a late win over DSk Shivajians at the Balewadi Stadium in Pune. Lajong went two up in the game thanks to goals from I. Vanmalsawma and S. Lalmuanpuia, but the home side hit back to level matters post the hour mark with goals from Milan Singh and Pranjal Bhumji. However, it was the away side that snatched the three points late on when Redeem Tiang scored the winner in stoppage time. The win lifted Shillong Lajong to fourth spot above Bengaluru FC in the table.